The myth goes like this. If an influencer mentions me on social media, or an influencer shares something from our brand, it will drive awareness and traffic. Most marketers start and end their search for influencers on social media. The results reveal the dominant thinking about how to find influencers. But influencers with large social followings and social media influence don’t always drive engagement, and engagement doesn’t always drive traffic. Here’s an example. 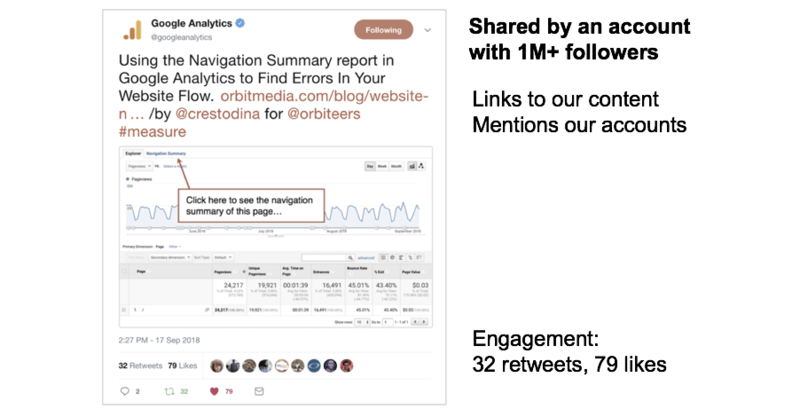 I write about Google Analytics at lot. Sometimes, the official Twitter account of Google Analytics shares my articles. I’ll admit, when this happens, my heart skips a beat. I stop working and walk over to Amanda, our Marketing Director, to brag about it. Then I print the tweet and hang it on my fridge. The Google Analytics account is influential by any metric, no question. It’s credible, authoritative and big. But what’s the real business outcome from this share? When I check traffic from that source to that URL that day, it looks like this: around 150 visits and one subscriber. Yet this is exactly what a lot of marketers are chasing. In fact, some marketing departments are paying for this kind of outcome, hiring influencers to create exactly this kind of social posts. Shares, likes and comments are the most visible, but also the least impactful marketing metrics. But they aren’t always correlated with awareness, traffic and demand. Social media wins are short lived. Even viral events last for a few days at most. Social media wins don’t always drive traffic. 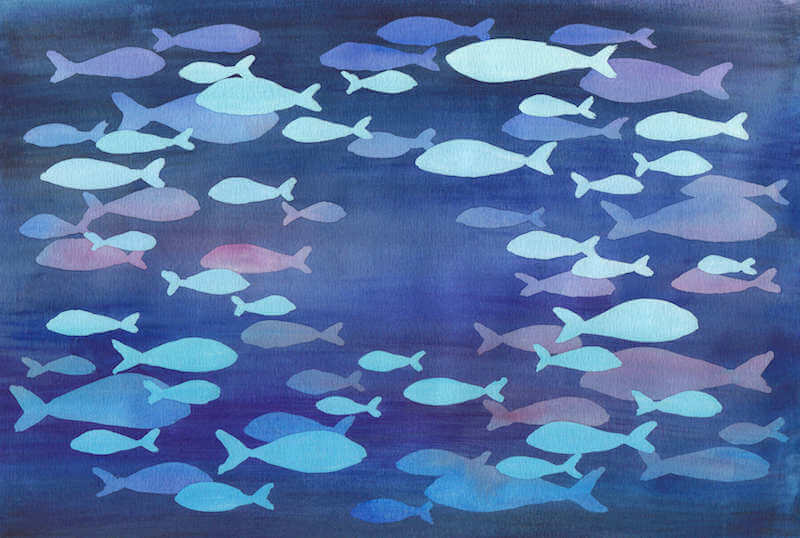 They may be isolated on the social network, which isn’t where leads are born. Social media wins are harder to come by anyway. You’ve probably seen the BuzzSumo research. It’s for these reasons that digital marketing managers resist the lure of social media metrics. Most of the marketers I know would trade 100 likes for a single email subscriber any day. Which Influencers Should We Collaborate With? Mark Schaefer has a great perspective on this. He says that there are three main types of influencers. The social media celebrities are one type, but all content creators are potential influencers. And really, anyone who shares content has influence over the reach of content. I made this little diagram to summarize his point and then asked him for his input. He points out there aren’t hard lines between these categories. There’s a rule of thumb in internet culture that relates to community engagement. It states that within any given network online, 1% of users create content and 99% of users consume that content. This rule applies not just within networks, but to the internet as a whole. Just a small percentage of people online are content creators. They are the bloggers, influencers and journalists. Here’s where the collaboration can have more durable benefits. Smart marketers, especially in B2B, are finding and collaborating with content creators. Thinking beyond social, there are loads of content creators that you may have otherwise overlooked. But traditionally, we’re looking for bloggers and authors, journalists and editors. These are the people who create, publish and promote everyday. And our friends at BuzzSumo make it easy to filter this 1% from the rest. Once you’ve built your list of possible collaborators, start interacting on social media. You’re using social media for influencer marketing, but as a networking tool. You’re sharing their work, adding your own POV, showing thoughtfulness and gratitude. Ask them to provide a quote for something you’re working on. Invite them to contribute to a roundup on a relevant topic. See if they’d be open to an email interview. Sent them questions. 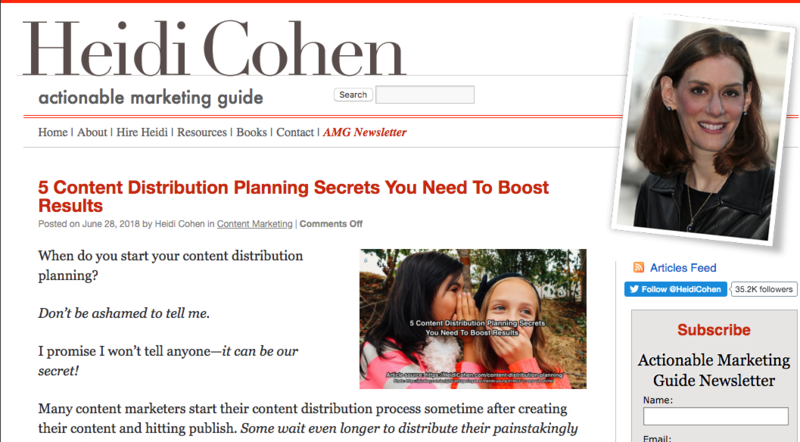 Offer to write something for their audience if they accept guest posts. Regardless of the ask, it’s never cold (you’ve already been interacting online) and it’s always relevant to recent topics (you’ve been reading what they’ve been writing). This type of collaboration with other creators increases the value of your content exponentially. 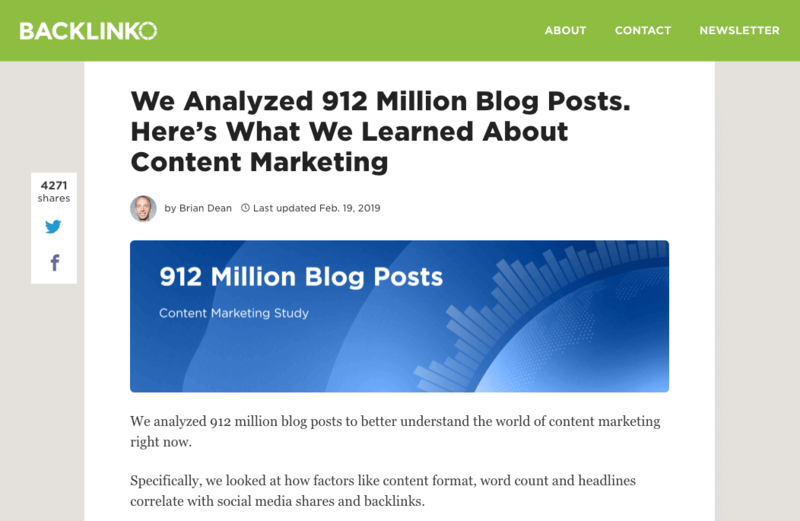 BuzzSumo and Backlinko teamed up to create an analysis of 912 million blog posts. 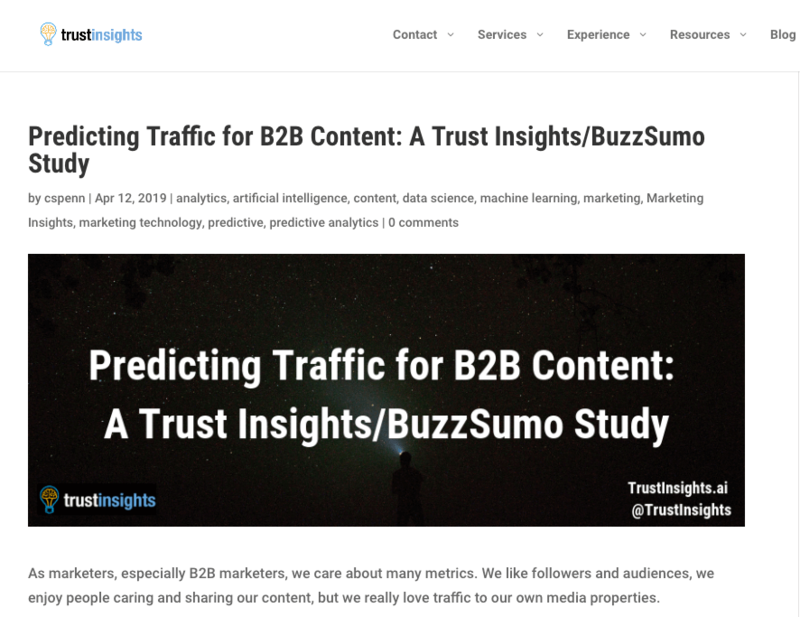 For her look at Content Distribution, Heidi Cohen worked with BuzzSumo to create her case study about what the company could have done to distribute a piece of content more effectively. Joint research projects like the annual survey of B2B marketers done by Content Marketing Institute and Marketing Profs may be the gold standard for collaboration, due to their complexity, high production value, and lasting impact. The results of research can be stretched even further by including additional comment from industry leaders when publishing the results. The Orbit Media Studios Blogging Statistics and Trends showcases this approach. If you’d ever like to collaborate on anything at all, don’t hesitate to reach out! When you write this and they read this, they’ll pause and think about the possibility of making something together. If they have a podcast, they may consider having you on the show. If they run a Twitter chat, they might consider you as a guest. They might need a contributor. I’ve typed it so often that I once joked during a presentation that I should set up a tool that types it for me. As it happens, Susan Moeller was in the audience and later suggested a text expander. I installed it right away. To this day, whenever I type the letter a three times, it expands to that magical sentence. The social metrics may be super gratifying. The social influencers are highly visible. But a collaborative content project is better for your marketing and far more gratifying. The content is more durable and the relationships are stronger. The best outcome of “influencer marketing” is friendship.